Ruta is a devoted advocate for her clients and their children. Ruta’s practice includes areas of marriage dissolution, custody and parenting time matters, child support, paternity, spousal maintenance, international family law, child in need of protection and services, termination of parental rights proceedings, and appeals. Ruta’s background in child protection and juvenile justice gives her a distinctive perspective in working with families going through a variety of family transitions such as dissolution, custody disputes and child protection proceedings. Ruta thoroughly enjoys working with Nancy on International family law matters such as international child abductions. 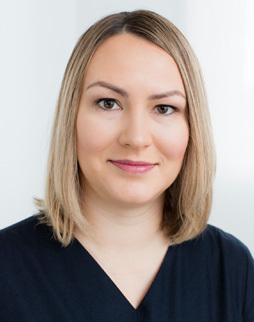 Ruta was born and raised in Lithuania, and as such, has first-hand understanding of the unique and complex issues of foreign nationals. Ruta graduated from the Mitchell Hamline School of Law where she was a recipient of the Student Award of Merit. She is admitted to practice in the state of Minnesota and Federal District Court, District of Minnesota. Outside of the office, Ruta enjoys traveling, her dog, and spending time with her family and friends.